One patient described an episode at work that was particularly upsetting. She worked as an emergency dispatch operator. One very busy day, she was managing multiple calls regarding an emergency, from the victims to the first responders and back. She had to put the fire fighters on hold to clarify information from one of the victims. The firefighters, not realizing that they were not on mute complained into the system, “Well, if she would put that doughnut down, maybe we wouldn’t have to wait!” My patient was angry and hurt, but honestly, the first thing she felt was embarrassment and shame. I see so much suffering from the acceptance of weight bias in our society and culture, I see my hackles rise with ideas of social justice, and my heart breaks for the good people who experience these, often daily, insults. Recent research indicates that the harm done goes beyond emotional suffering to causing lasting physical damage as well. 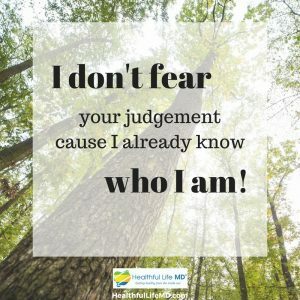 With better understanding of the issues involved and some tools for personal safety, we can take action to prepare our patients to advocate for themselves – and to protect themselves from internalizing the destructive messages caused by weight bias.We can also prepare parents, educators, and others to speak up instead of ignoring these messages. Weight bias is the inclination to form unreasonable and negative judgments based on a person’s weight.1 Stigma is the social sign that is carried by a person who is a victim of prejudice and weight bias.1 The consequences of this bias can be seen in a variety life arenas. Economically, people who carry extra weight, have difficulty when seeking employment. Studies have shown that that carrying extra weight leads to decreased hiring rates compared to normal weight in identical candidates. The difference is more pronounced for women.2 Perceived character traits of people who carry extra weight include lower ambition, lower productivity, poor personal hygiene, poor supervisory potential, and poor self-discipline.1 In comparable positions, obese people earn less than their normal weight peers, a difference that is also more pronounced in women.1 People who carry extra weight are also less likely to be promoted over time. In the media, people who carry extra weight are less often in leading, and particularly in romantic roles. They are most often portrayed with less desirable or even negative, stereotypical character traits. They are also frequently the objects of jokes. These images reflect societal views but also work to reinforce those views and legitimize them. Imagine the impact on children, and their general development, seeing these stereotypes consistently throughout their viewing. Children are also impacted in education. Teachers attribute negative characteristics to children who carry extra weight, believing them to be less intelligent and less capable than their normal weight peers. Teachers have lower expectations for kids who carry extra weight. Adolescents who carry extra weight when applying to college, are less likely to be accepted for admission, all else being equal. In addition, kids who carry extra weight are bullied at rates 2 1/2 times that of their normal weight peers. One study examining quality of life scores (QOL) for kids found that kids who carry extra weight report lower QOL scores than their normal weight peers, and in fact, have score comparable to the scores of kids undergoing treatment for cancer. I have had patients who had to leave schools because of the bullying they experienced, and who completed their schooling through online or home schooling because they did not feel safe in the normal school environment. Studies bear out this situation showing that students who carry extra weight have fewer years of education and are less likely to go to college. Weight bias is present even in health care. One study of medical students showed that students already had integrated weight bias in their thought processes, including negative attitude towards people who carry extra weight, blame for their condition, unfavorable feelings, and dislike of working with patients who carry extra weight. Many settings are do not accommodate patients who carry extra weight, such as non-private weighing stations and seats with arm rests that do not fit heavier patients. Physicians assign blame to patients who carry extra weight and often communicate their negative judgments. They believe that patients will not get better, spend less time with them, and also forgo examinations, often skipping routine screenings and exams. Facing this inherent bias leads to feelings of shame and discomfort. The result is that many patients who carry extra weight delay or avoid going to their doctor, which may delay diagnosis or even lead to worse illness that is not monitored or treated appropriately. How can we make an impact on this problem and reduce its devastating consequences? The following recommendations include some of the excellent tools provided by Kidpower Teenpower Fullpower International, a global nonprofit leader dedicated to providing effective and empowering protection, positive communication, and social safety skills for all ages, abilities, cultures, beliefs, and identities. I am on the Board of Directors and often provide these tools for patients in my practice. Be prepared to persist in the face of negative reactions. It is normal for people to react negatively when they have been told that they did something wrong. They often belittle, minimize, or deny. For example, you might say, “I understand that you think I am being overly-sensitive. And I think it is disrespectful to put anyone down about their weight or other differences. Please stop.”. If setting boundaries is not safe, you can still protect your feelings from emotional triggers. Walk away from negative conversations. You can just leave quietly or make an excuse about being busy. Be an Upstander instead of a bystander. Use respectful language when you talk about people. Do not comment about your own weight or other’s weight in negative terms with friends, colleagues, and especially around children. Be preemptive in addressing weight bias.